Today the world shines a spotlight on our environment. Just 46 years ago, the first Earth Day was celebrated, and now Earth Day Network works with more than 50,000 partners in 196 countries to build environmental democracy. 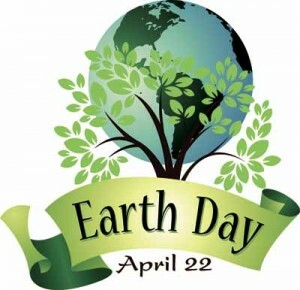 It’s expected that more than one billion people will celebrate Earth Day this year, making it the largest civic observance in the world. – Material Conservation – We’re committed to reducing raw materials (such as slip, glaze and plaster) per ton of boxed product. This in turn reduces the use of water and chemicals for water treatment and the disposal of inert material in landfills. – Kiln Loading Optimization – By maximizing our kiln loads, we help reduce our natural gas consumption. – Operating Efficiencies – From conserving the use of electric energy in lighting to reusing the energy that comes out of our kilns to heat water and feed our ware dryers, we take steps to run environmentally-friendly facilities. – Recycling – We recycle cartons received from our suppliers and have programs in place within our plants to encourage recycling efforts with our employees. All of our fired scrap and used molds are sent to a local company to make by-products such as gravel and plaster for soil amendments and fertilizers. Perhaps our biggest contribution to the earth is our development and production of superior products. We manufacture a wide variety of toilets that comply with WaterSense® standards and continually work to make improvements in our products. Over the last year we have dramatically increased MaP ratings on all domestically produced toilets, with more improvements to come!